This fantastic design illustrating the famous German scientist Albert Einstein. An exclusive design from our collection of Macbook Stickers. 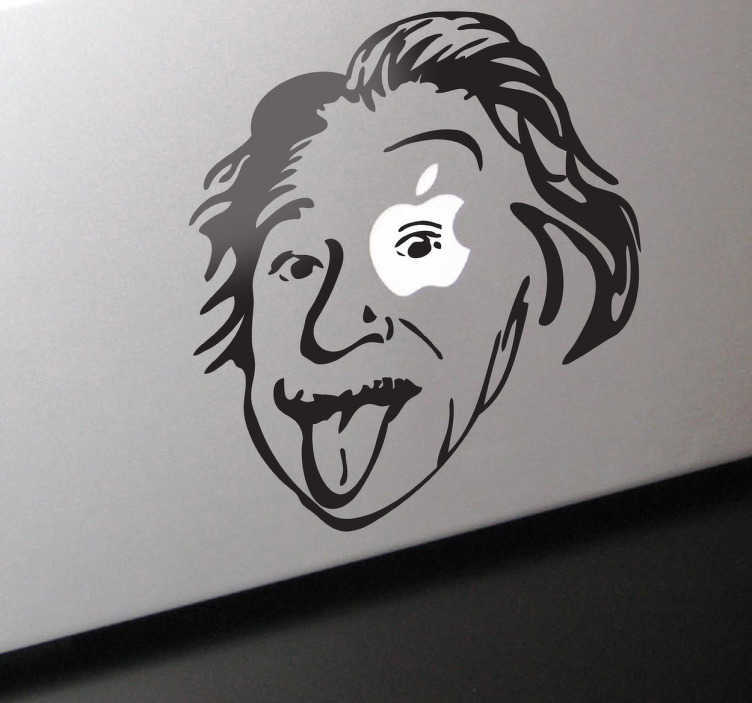 A great sticker for those that love science or those that just love Einstein! Give your Mac a touch of originality by placing this decal on the Apple logo. Personalise it your way! You don't find this amusing enough? Well, check the rest of our funny wall stickers! Guess what? Yes, you've guessed it! You can customise this design by choosing your favourite colour. Easy to apply and remove. *Sticker sizes may vary slightly depending on the device.